Sonoma State University’s symphonic and concert choirs will perform alongside choirs from San Jose State, Santa Rosa Junior College, Montgomery High School and Redwood High School for an educational outreach concert. Conducted by Director of Choarl Activities Jenny Bent, the Sonoma State choirs will sing selections spanning from the Renaissance to present day, including selections from Francesco Durante’s Magnificat and Johannes Brahms' Liebeslieder Waltzes, Op. 52. The concert will be held on Wednesday, April 18 at 7:30 p.m. in Weill Hall. Tickets are $8 and free to SSU students. On campus parking ranges from $5-$8. Sonoma State University choir director Jenny Bent has been appointed Choral Director for the Santa Rosa Symphony. 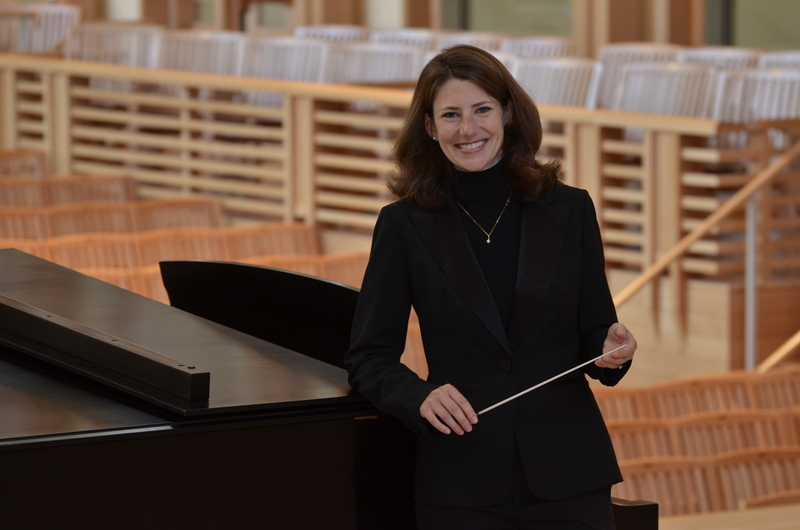 During her two-year appointment, which begins with the 2016-2017 concert season, she will continue to serve as Director of Choral Activities at Sonoma State.